Dental fillings, often called dental restorations, are made to repair structural impairments on the tooth. This damage is usually caused by decay. Dental fillings are durable, but you will eventually need to replace your fillings. Why do fillings need to be replaced? Regular pressure from eating and drinking or stress due to grinding or clenching can damage your fillings. Chipped, cracked, degraded or broken fillings may create spaces between the teeth and the restoration. This gap is a perfect entry point for food debris and bacteria that cause decay. It is hard to remove such bacteria from the tooth using an ordinary toothbrush or other techniques. The decay may form beneath the filling or along the edges. Just because a tooth already has a filling does not mean that other unaffected areas of the tooth cannot become decayed. Failing to diagnose or treat the decay may cause an infection of the tooth’s pulp. If this happens, you will need a root canal treatment or can suffer tooth loss. You may think your filling is still viable, but it may actually be masking tooth decay. Bacteria may be attacking your tooth without any visible signs. If you feel pain or tenderness, then the tooth is likely already infected. 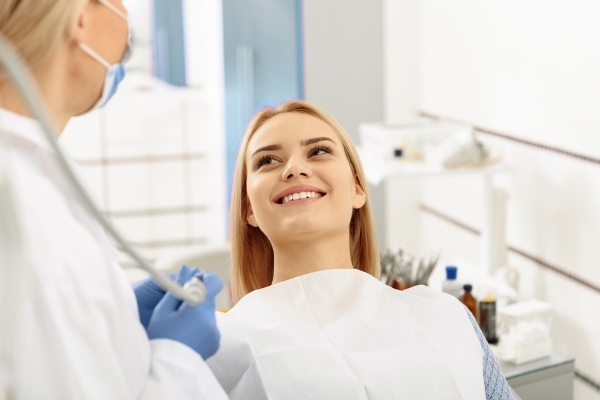 When you visit the dentist for your routine dental appointment, the dentist will examine your mouth for signs of tooth decay. Unfortunately, if the filling has chipped or cracked, you may be dealing with a new cavity. Faulty silver or amalgam fillings have adverse effects on your teeth and gums. Since bonds are usually not used on amalgam fillings, cracks and leaks may set in as the years pass. Bacteria could also weaken the tooth, causing further damage. Most dentists recommend you get a checkup every six months. This will give your dentist more chances to catch a defective filling before it can cause harm. The signs of defect may not be immediately obvious. If your fillings are old, dental experts recommend taking drastic steps to ensure there is no instance of decay beneath the fillings. If you refuse to have the old fillings restored, you may be setting yourself up for serious complications. The decay could spread to the nerves, which may require a root canal procedure. If the infection spreads to the bone or bloodstream, then you may suffer more severe health problems. During the dental checkup, the dentist will also screen the teeth thoroughly for any apparent signs of damage. Multiple X-ray scans may be necessary to detect hidden damage. If there is any damage, treating the fillings immediately will save time and money. Dental fillings do not have a lifetime guarantee and will require replacement at some point. Be sure to take care of your mouth by brushing and flossing daily. Do not forget to book your regular dental appointments. If you do not have a dentist, then call our office to see how we can ensure your fillings are still effective.